Oh my god this book was just THE BEST. I loved everything about it and am so sad that it actually finished. I wish there were infinite books on Simon and Baz but literally everything that is in this book was perfect. I loved all of the character so much and thought it was an absolutely bundle of fun to read. Rowell is a ridiculously good author and I can’t wait to read more of her books! This was ridiculously enjoyable. I must start this by saying that this is the ULTIMATE book for those who’ve read Fangirl by Rowell and loved it. If you need a good fix of Simon & Baz action then this is here to satisfy all your needs. I must apologise because there’s a 0% chance that this review will actually be cohesive – my main thoughts on Carry On are: *silent fangirling*, *jumping*, *running in circles*. So, you know. The book follows Simon in his final year at Watford – a magical school. The book itself is fanfiction – it’s what the character in Fangirl, Cath, was writing. The series that Cath is writing the fanfic from, is called Simon Snow (which itself is a fanfic of Harry Potter). Rowell enjoys playing with your head, but don’t worry, it all makes perfect sense. So the whole thing is intended as a bit of fun. It’s an hilarious adventure of Snow messing everything up and trying to work out certain feelings and where he fits in with things. The Insidious Humdrum is making is life difficult, sending magical creatures after Simon to kill him and tearing large holes in the magical atmosphere that leaves dead spots (which is rather unfortunate if you happen to live there). The number one thing about this book is that it lives up to expectations – you’ll definitely be expecting something spectacular after Fangirl and this delivers. Basically, you’re going to wet yourself laughing a lot and squeam about because the tension between Baz and Simon just about kills you. It’s glorious, and not to be missed. This made the cut for my favourite books of 2016. Obviously, 90% of us are here to check in on Simon & Baz because we desperately needed more action between the two of them. They’re the most hilarious duo – with Baz being a vampire and Snow being The Chosen One. I loved the middle-grounding character of Penelope when it came to tensions between these two as well. I think she knew what was going on long before they did. One of my favourite things was that Baz has better night vision than humans so he could actually watch Snow sleeping, like the creepy vampire he is. So cute. Baz and Simon are as cute as these two. For real. There are some pretty serious moments with the characters, too. Both the boys go through several rough patches where we get a glimpse of what is borderline depression. I think Rowell has a real knack for expressing mental stress/issues in books. Your heart will undoubtedly break several times over. And this will be you, contemplating your life, because it’s not okay is Simon and Baz aren’t happy and together. We all know that this is an LGBT story – and I tell ya, it’s damn close to beating out Simon vs the Homo Sapiens Agenda (what is it about Simons?). I just could not get enough of these two and thought their awkward relationship as comrades in arms against the Humdrum on their little truce was adorable. Rowell has thrown in just the right amount of magical creatures (there was even a dragon – which made me very happy) – so whilst you’re caught up in the muddle of relationships amongst the characters you’re also having a whale of a time with all the action that’s going on. I just couldn’t deal with those gorgeous moments between the two boys. I was very impatient waiting for things to kick off and I loved how it happened in the end. I particularly enjoyed swapping perspectives the whole time (I think it worked really well for this book) – it added to the hilarity of what everyone was thinking. I burst out laughing several times at Baz’s trains of thought in particular; the number of times he has to clarify what he meant, to the reader, so that you don’t interpret it wrong (hehe) was fantastic. Baz is also one hell of a sassy character, and I love that he tries to cover up his more touchy side with snide comments and general badass-ness. One of the main concerns for quite a few people, I think, would be the Harry Potter tie-in. This is essentially HP fanfic – but I think it works really well. Apart from the fact that I imagined Cath reading this aloud to Levi (and swooned a little bit) I thought it wasn’t too Harry Potter-y so I wasn’t put off. The hardest bit was definitely the beginning because it felt like some weird deja-vu because Simon going to Watford and the dining hall, etc, all felt overly similar. But the story soon settles into itself so no fear! It’s original and beautiful and you’ll be far too distract with Snaz (can that be their knew name?) that you won’t even care after a few chapters. 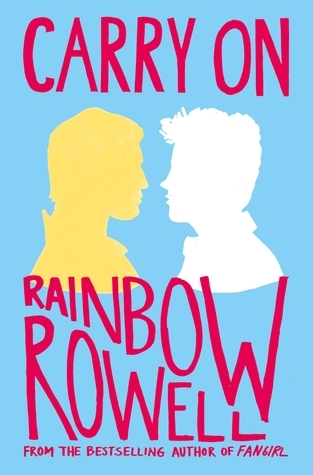 The relationship of Simon and Baz absolutely steals the show, but as I’ve said, the combination of this and endless things going on around them made this a magnificent read. The world-building was fabulous and I thoroughly enjoyed imagining it all. This is quite literally everything you ever wanted in a fantasy LGBT novel. To be perfectly frank though, everything in this book was awesome. It’s practically a self discovery journey and has many beautiful moments in it. There are magical beings galore, unusual families, magic, funny teachers, teenage troubles, and mysterious plot twists. Not to mention the amazing character that is Ebb. But also expect to be an emotional wreck several times. Just sayin’. I recommend reading Fangirl before diving into this one – so if you’re read and enjoyed that then you absolutely HAVE to read this one. It’s wondrously long because you won’t want it to end and is packed to the brim with addictive material. I want more books! Maybe if I wish hard enough Rowell might write more Simon and Baz material . . . but then again I’m quite happy where everything is – think I possibly just need to reread this forever and ever. This is an awesome book and I can’t recommend it enough. 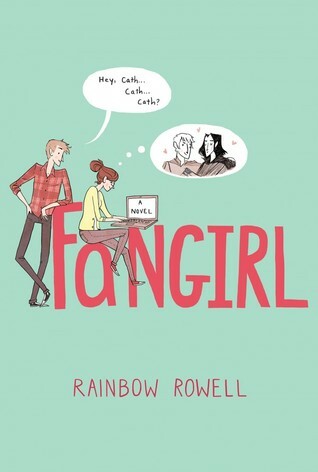 If you liked this and want more Rainbow Rowell and HAVEN’T read Fangirl, then get onto it. 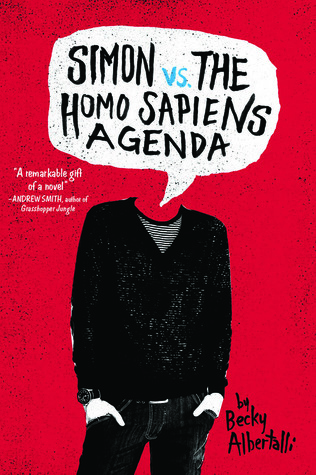 If you like sizzling LGBT novels, Simon vs the Homo Sapiens Agenda is for you. 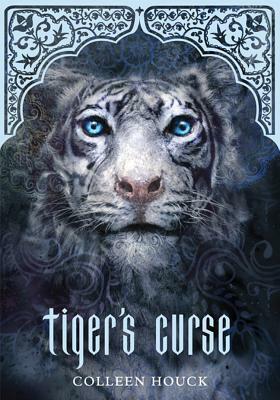 If you like fantasy with a little bit of everything, Tiger’s Curse is for you. 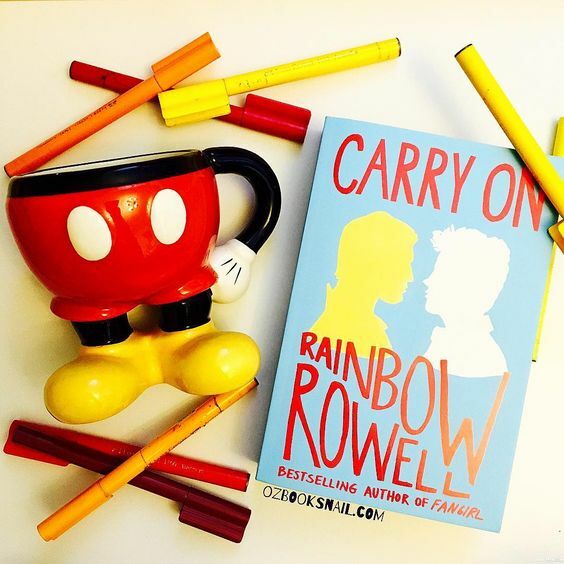 Have you read Carry On? *runs in circles waving a flag* Yess! We can never have enough of them! I’m going to use that hashtag to death, I’ve decided. It’s good to hear you still enjoyed it even though you hadn’t read Fangirl!